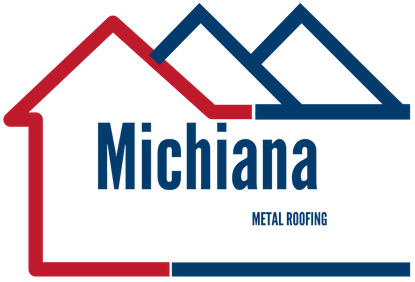 If you are looking for affordable prices for metal roof repair, installation, or replacement service, look no further than Michiana Metal Roofing. We are the ones to call when you are interested in a metal roof for aesthetic appeal or to have a roof that is more energy efficient. Roof after roof, our superior customer service, and expertise keep our customers in the Mishawaka area coming back to us. Our roofers work diligently to garner a reputation as the Michiana roofing company you can rely on when your metal roof needs maintenance work. We employ long-term skilled roofers who care about you and your metal roofing job. Our roofing crew is industry trained, setting them up as the best in the industry. We believe in excellent craftsmanship, and we understand that in order to get it, we must invest money and time into completing educating our employees. It doesn’t matter if your home or business is small or large, we offer unsurpassed brilliance on every project. Our Indiana roofers have the desire and skills to be the best roofing company in Michiana. Our business offers a vast assortment of roofing materials, including stainless steel and copper. We are knowledgeable, reliable, and courteous and our business ethics are matchless. We’re incredibly respected, and we are always receiving referrals from loyal customers because of our timely and affording roofing work. If you should find yourself in need of metal roofing services, contact us at Michiana Metal Roofing. We have been repairing, installing, and replacing metal roofs for a very long time. Our Mishawaka roofing team has worked on every type of metal roof material in the roofing industry, so you can depend on us to maintain your metal roof without any issues. If you want a new metal roof to bring curb appeal to your new construction, call us for a consultation today.